The rumors from the early January was confirmed by another source, PDAdb.net, which posted specification and images of the new HTC phones. Finally, the largest Windows Mobile phones manufacturer takes the step to WM 6 with P4450 Kaiser (successor of the TyTN, adding GPS), S730 Wings (the 3G Vox) and the P3450 Elf. 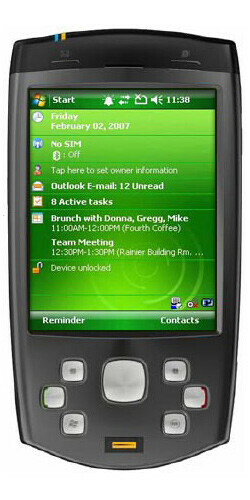 HTC S420 Erato is the new clamshell to replace the StarTrek. 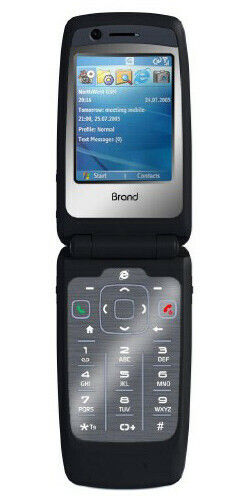 It has 400 MHz processor, full 3G support, and of course runs on WM6 Standard edition. A few of the improvements on the specifications are the FM radio and the GPS, but WiFi is still missing. The HTC P6500 Sirius is strange device, running on Windows Mobile 6 Profession, featuring 3.5inches touch-sensitive display with resolution of 240x320 pixels. We don’t really know who is the target audience of this device, but it looks huge and without any ground-breaking features.